In a medium bowl, gently combine the tomatoes, onion, lime juice, cilantro, chiles, salt, and cumin. Stir. Add the avocados and use a fork to gently mash and combine them with the other ingredients. 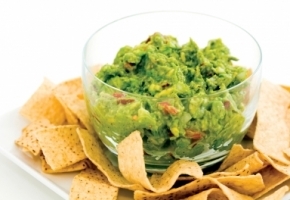 Guacamole is best served soon after preparation, but it can be stored in a tightly covered container in the refrigerator for up to two days.